It’s that time of the year – the time when everyone in publishing cites the most popular or most read articles and books for the year! So here’s FFI Practitioner’s contribution to these illustrious lists. We’re doing ours by month – so you can see what your colleagues were reading all year long. Despite the potential for next gen donors to become the most significant philanthropists and drivers of family enterprise to date, still little is actually known about the values and tendencies of this vital demographic. 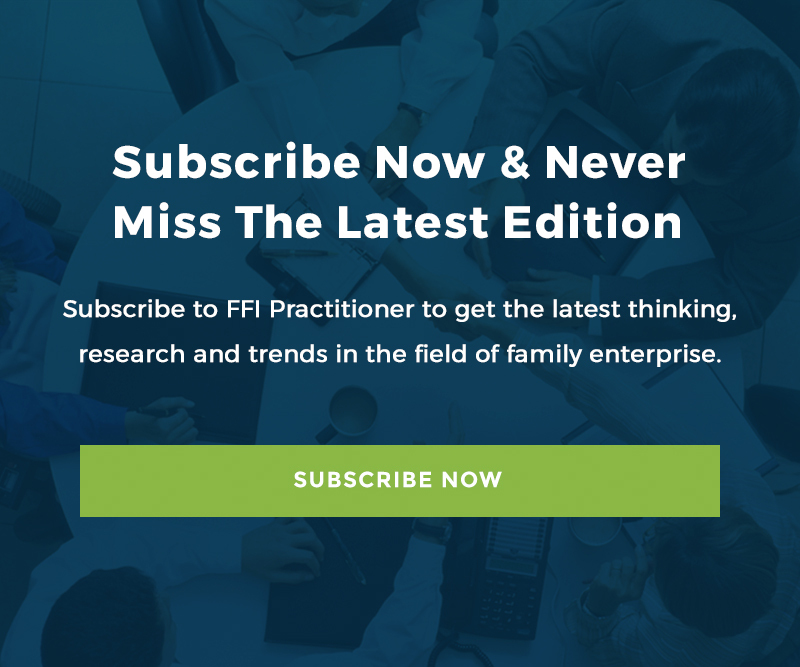 Thanks to Alberto Gimeno of the FBR Research Applied Board for his thoughtful précis of “Family Constitution and Business Performance: Moderating Factors” – an article that appears in the December 2017 issue of FBR.